Accepting imperfection is not an easy task for many adults, much less many children. Flexibility, too, is something that so many of us struggle with. Learning to let go, to embrace the flaws and blemishes that inevitability mar our daily lives, can be a fearful journey, one that must come from deep within ourselves before we can learn to appreciate the sweet in the seemingly sour. 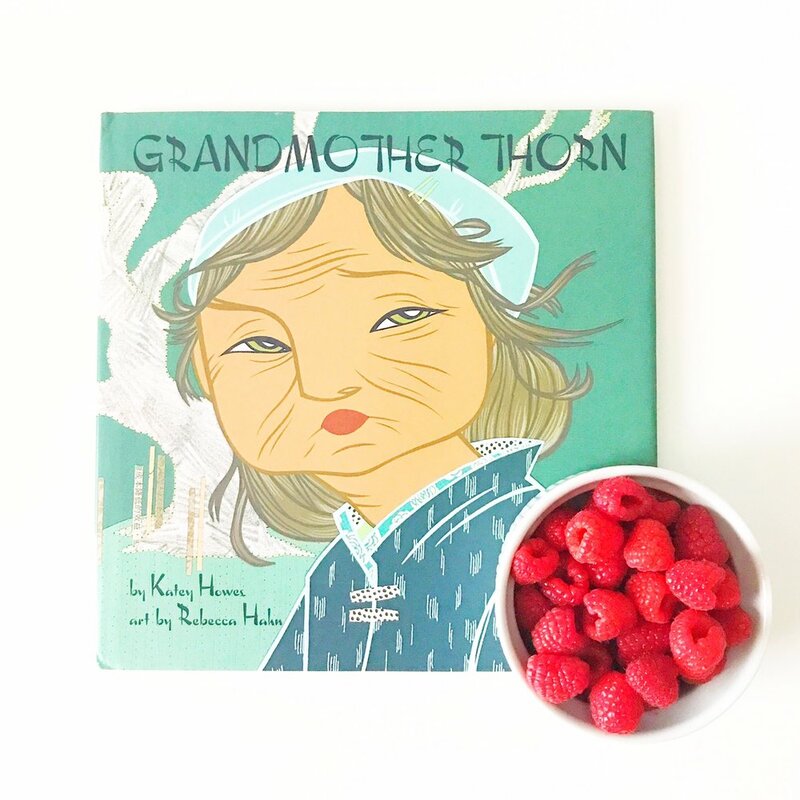 Perhaps this is the reason why we so love Grandmother Thorn, the beautiful debut picture book by Katey Howes, with gorgeous, multimedia illustrations by Rebecca Hahn. The titular character, Grandmother Thorn, treasures her beautiful garden- it is pristine and perfect, with not a twig out of place. But when an unwanted plant begins to sprout without her permission, Grandmother Thorn begins to break down. With the help of a dear friend and the passage of time, Grandmother Thorn may just learn that some things in life are beyond anyone's control- and that life's greatest disappointments can also give rise to the greatest gifts. What a gem this book is. Grandmother Thorn powerfully conveys the message that beauty can be found where we least expect it-- or want it-- when we learn to let go of our stubborn ways. The story reads as if it's a time-tested classic or an age-old folk tale, with rich characters, lush prose and not a word out of place. This is an especially fabulous story for upper elementary and middle school students- sparking important discussions on the meaning of perfection, friendship and embracing fear. A gorgeous debut -- two trunks up! Want the book? Get it here! Grandmother Thorn, by Katey Howes. *This is an affiliate link.